Scary Terry's World: Planet ComiCon April 6 & 7! 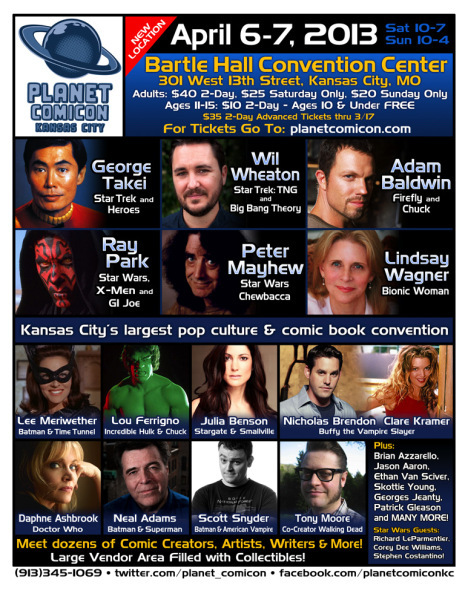 I'll be one of the comics guests at Planet ComiCon in Kansas City this weekend. Here's a link to the official website for details on the show. I'll be at table 1047 in Artists' Alley -- and will be on a panel Sunday at 1:00PM. 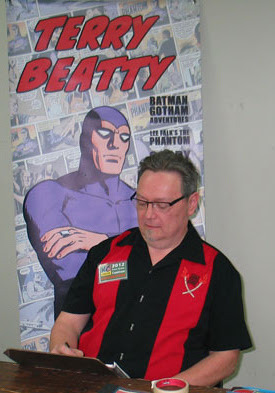 Comics guests include Neal Adams, Howard Chaykin, Brian Azzarello, Peter Bagge, Dave Johnson, Ande Parks, Eric Shanower, Tony Moore, and my old Batman Adventures pal, Rick Burchett -- and many more! The flyer below plugs mostly the media guests -- but don't let that fool you -- there will be a lot of comics stuff at this bigger-than-ever show. If you're in the KC area, do not miss it! I'm sorting through stacks of books, comics, art and prints to decide what to bring to the show. Look for my Phantom banner! It will be a great weekend. See you there!